Over 2,800 people in Ethiopia’s Oromia regional state have been displaced by floods as the Awash River flow out of its river bank due to torrential rains over the last week. 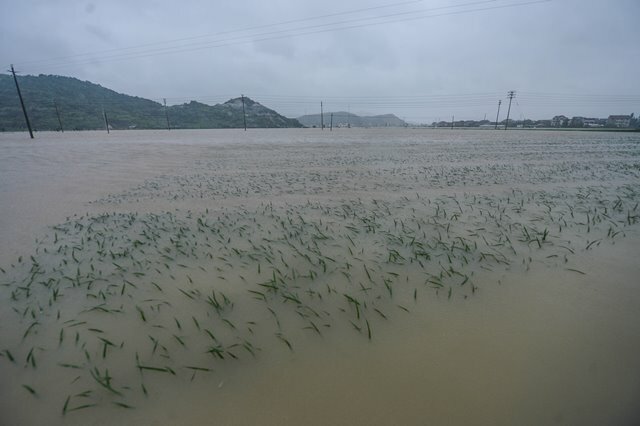 According to the Oromia regional state Disaster and Risk Management Commission, some 12 districts in the area were affected by the flood as the river runs out of its scheme. The commission, however, affirmed that human fatalities were not occurred as a result of the ongoing flood, which was exacerbated by the torrential rains in the rivers’ tributary areas. The Awash River is among the biggest rivers in Ethiopia whose course is entirely contained within the boundaries of Ethiopia. The river is also one of the highly irrigated throughout its river bank along the southeastern part of Ethiopia until it ends its course on a small lake located on the Ethiopia-Djibouti border. Senior Ethiopian government officials including Workneh Gebeyehu, Ethiopian Minister of Foreign Affairs, have on Wednesday paid a visit to the most affected areas and witnessed the support provided for the displaced people. Even though swift measures helped local communities avoid human injuries, the floods have caused death of animal lives and loss of harvest in some parts of the affected areas, state news agency quoted Geremew Olika, Oromia regional state Disaster and Risk Management Commissioner, as saying. Ethiopia is prone to recurrent floods every year during the major rainy season, particularly between July and October, which threatens the lives and livelihoods of thousands of people.